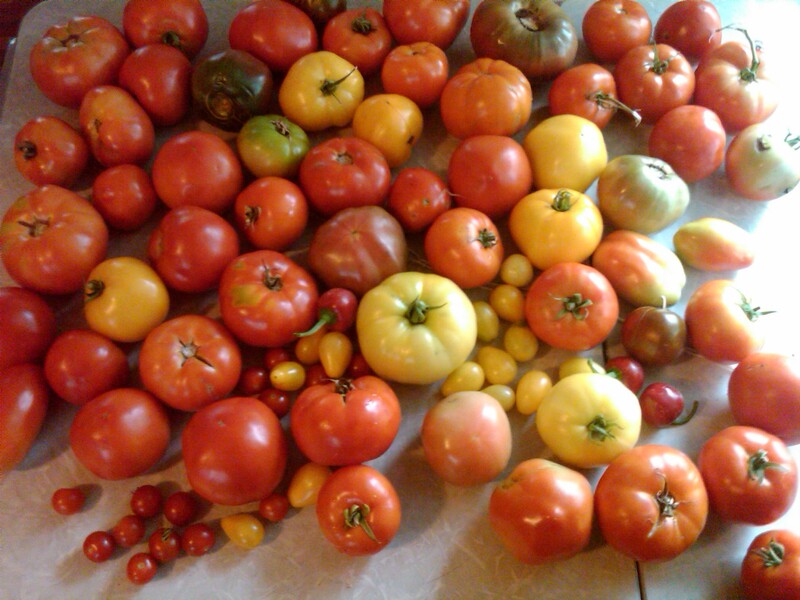 I wasn’t kidding when I said we would be swimming in tomatoes. Here is where we are at right now. 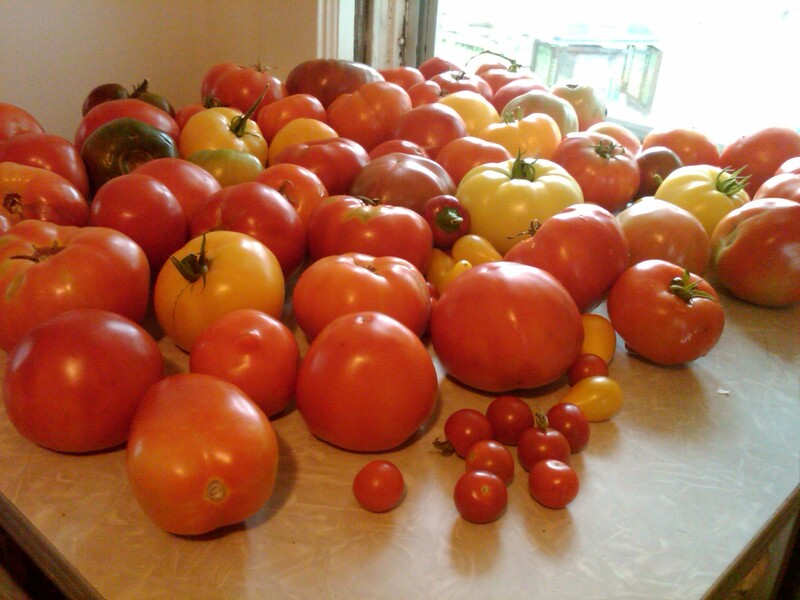 We have Romas, Lemon Boys, Big Boys, Heirlooms, Cherries, and more. Heres another picture. I can’t tell which one looks like more. And keep in mind this is after all the Bruschettas, salsas, salads and sandwiches we have made lately. They just keep on coming, more and more everyday. The squirrels can’t eat them fast enough!